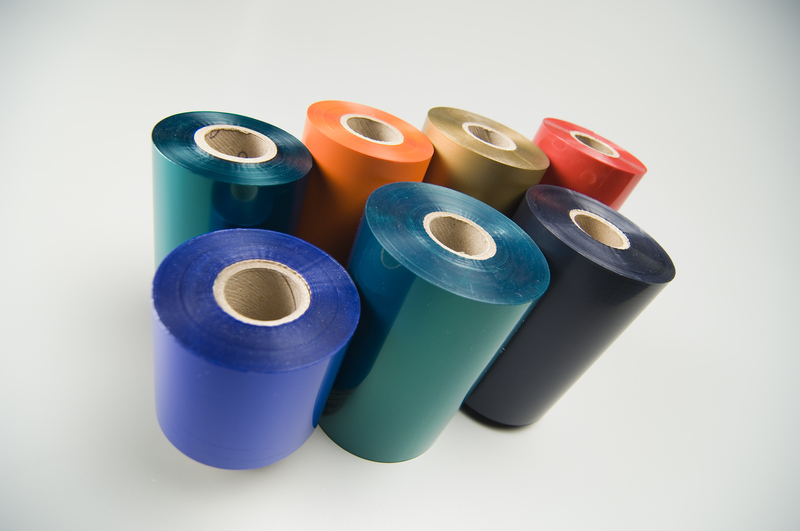 Label converters can now supply brand owners with thermal transfer ribbons (TTR) in any color with IIMAK’s new iiColor Match. This unique custom color program delivers fast turnaround with low minimum orders. Color matching complements IIMAK’s standard range of 50 colors and is available on all IIMAK ribbon grades, including wax, wax/resin and resin. IIMAK’s innovative approach to TTR color matching scales down the gravure coating process to produce small runs, making custom colors much more accessible. Converters can offer a brand-matching package to end users with low-volume, high-variety label needs. For example, generic pre-printed labels can be customized utilizing existing thermal transfer printers. No investment in hardware is necessary. IIMAK also offers color TTR for use in multi-head printers. Another advantage of color TTR is its adaptability across a wide variety of label stocks. You can also choose the level of image durability required. IIMAK’s DC300 Resin Color TTR features automotive-grade pigments that deliver outstanding outdoor durability. Applications for IIMAK iiColor Match include short-run labeling in medical, nutraceutical, durables, chemical, and food industries. Visit booth #535 to learn more.